Posted on June 8, 2015 June 11, 2015 by Mark R.
Tomorrow, CCP will roll-out the first of the SOE Sanctuary skins. The dark skins take the SOE ships (Astero, Stratios, and Nestor) and completely transform their aesthetic. Pure white is replaced by deep gun-metal blue, broken-up only by discrete gray highlights; giving the SOE ships a much more austere countenance that is, perhaps, a harbinger of the dark times that could be ahead should that ominous missing Drifter fleet decide to make its way out of Anoikis…assuming it’s there. Despite the drastic shift in outward presentation, this isn’t the first time that the Stratios, at least, has dressed a little darker. 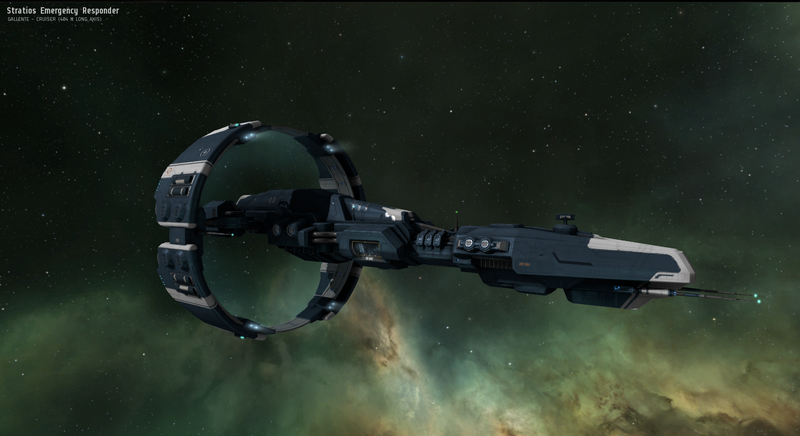 I remember looking through Eve-Central when I was preparing to buy my own Stratios and noticing something curious when I searched for the ship in the Eve-Central index. At the time, your query generated two possible options. The normal capsuleer Stratios that we all know and love, and another Stratios that was not presently on the market: the Stratios Emergency Responder. That ship bears a striking resemblance to a Stratios outfitted in the new Sanctuary skin…in fact, I would argue that this skin is that of the Stratios Emergency Responder with a few refinements. What is this mystery ship?! Understanding the story behind the Stratios Emergency Responder requires some knowledge of the now defunct SOMER Blink lotteries that ran for about four years until shutting down after allegations of impropriety in August, 2014. All this was before my time, but my understanding is that these lotteries were very popular and in 2013, CCP apparently offered five winners a choice between a trip to Eve Fanfest and a not-available-for-manufacture Stratios Emergency Responder. According to the information I can find, 4/5 of winners chose the limited edition ship and those four vessels were seeded into the game. 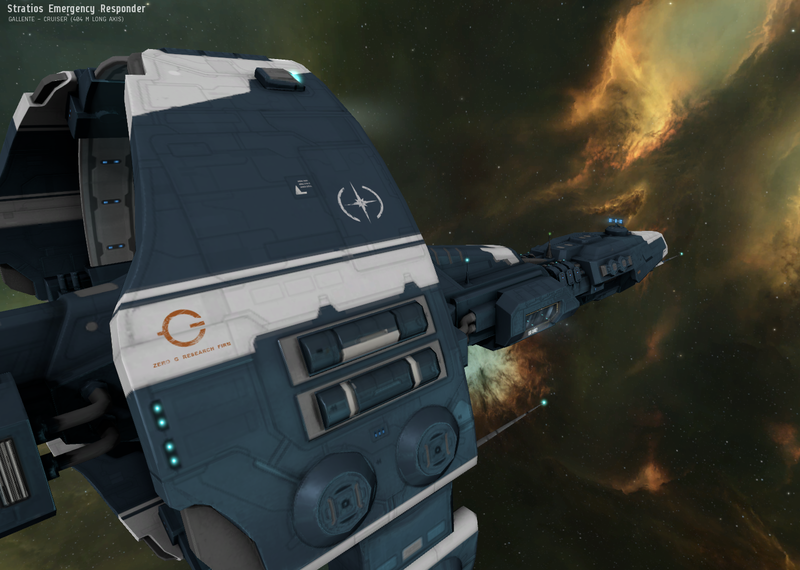 No more ever made their way into Eve, making this one of the rarest hulls in the game. The Stratios Emergency Responder also sports the logo of the Zero-G Research Firm, a Caldari NPC that specializes in human space habitats and other life support modules. That’s a fitting association for a ship designed to investigate major cosmic occurrences. Incidentally, this is the same logo that appears on the new Sanctuary skin for the Stratios, further supporting my suspicion that CCP is essentially resurrecting the Stratios Emergency Responder…if only in appearance. So what happened to the four Stratios Emergency Responders seeded into the game? 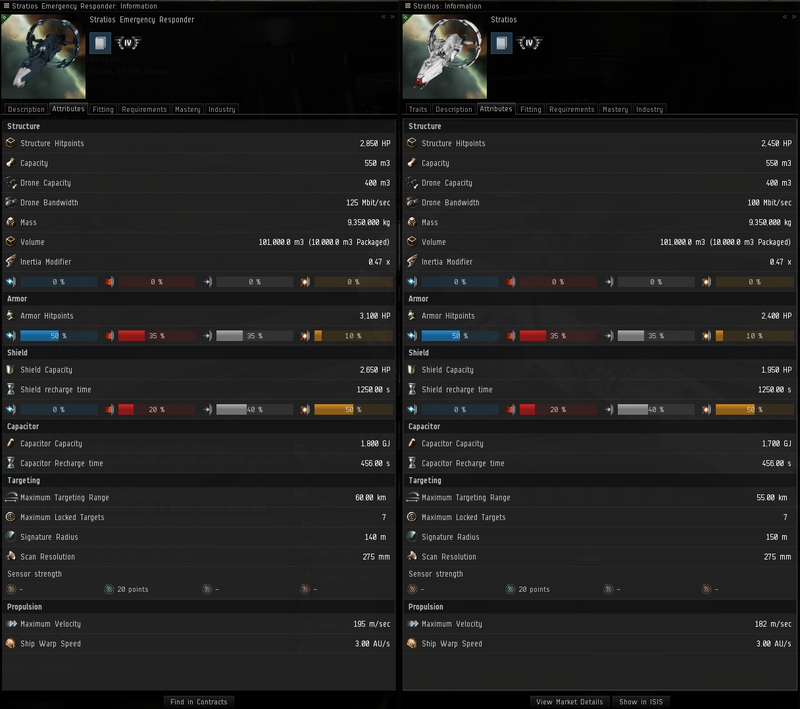 Based on my research, they are all still intact and appear to be occasionally traded among people able to spare a few hundred-billion ISK. I want one…er but only have 100k ISK! Will have to wait me thinks!